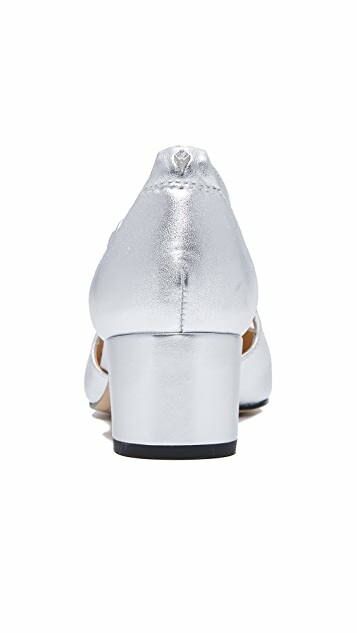 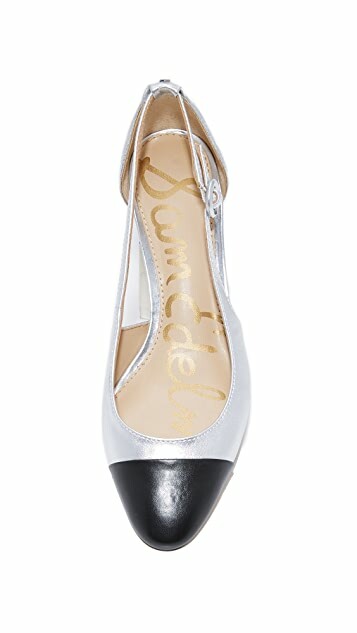 Metallic leather Sam Edelman pumps with a contrast toe cap and cutout sides. 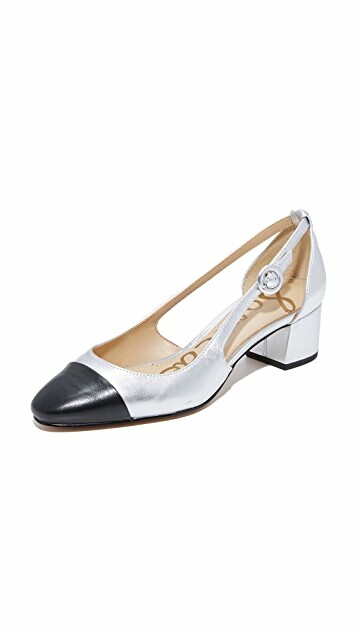 Slingback strap with inset elastic and buckle closure. 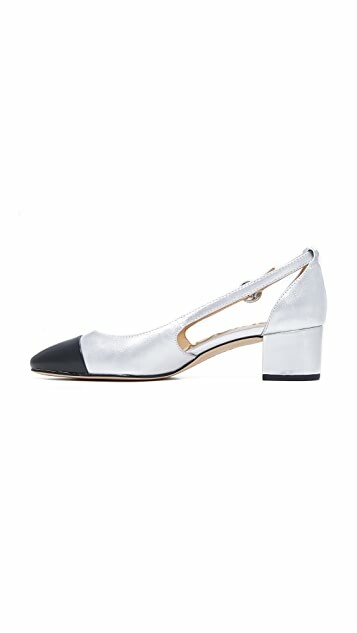 Covered block heel and synthetic sole.